94% of U.S. workers — across all industries — say it's unlikely they will lose jobs to automation.Warehouse companies say robots will supplement human labor, not replace it. 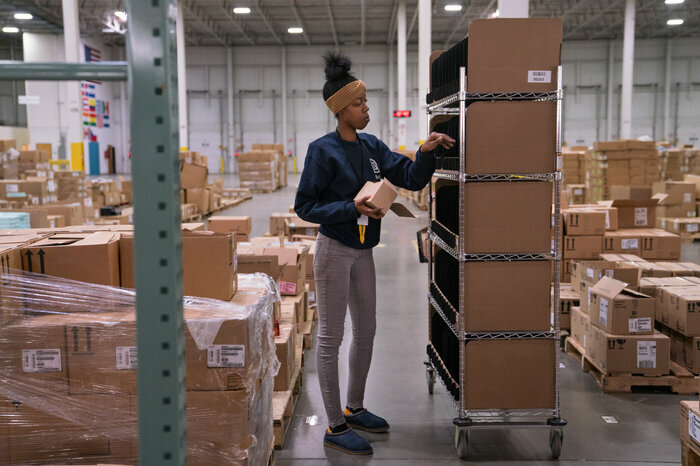 Amazon, which has rolled out thousands of robots, says it has more than 75 fulfillment centers, the majority of which employ at least a thousand full-time hourly associates. 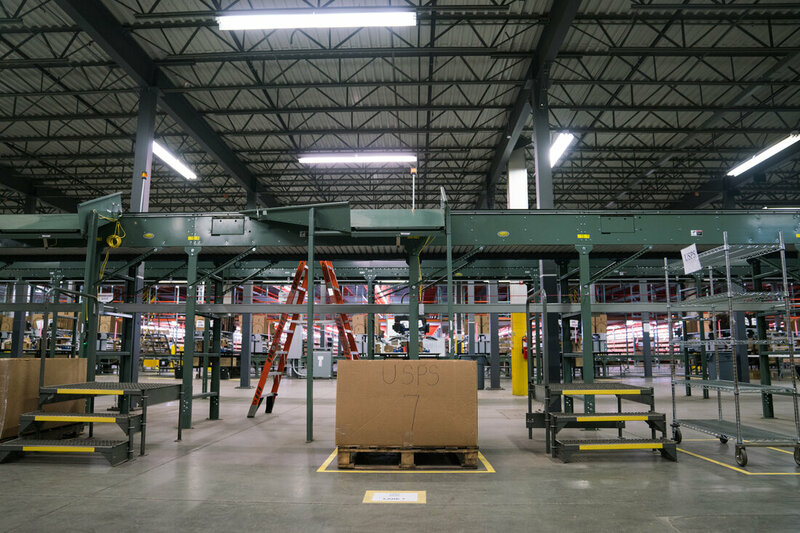 "Our 25+ robotics fulfillment centers employ 2,000 to 4,000 full-time hourly associates,""I don't think a robot could do this." Asked if a robot could do his job, Beatty responds with a long pause. "That's a tough one," he says eventually, "but I don't think a robot could do this." Or, maybe he just doesn't want to think about it. "I love my job too much," he says, with a smile. His optimism matches the findings in a new NPR/Marist poll. The survey shows 94 percent of U.S. workers — across all industries — say it's unlikely they will lose jobs to automation. 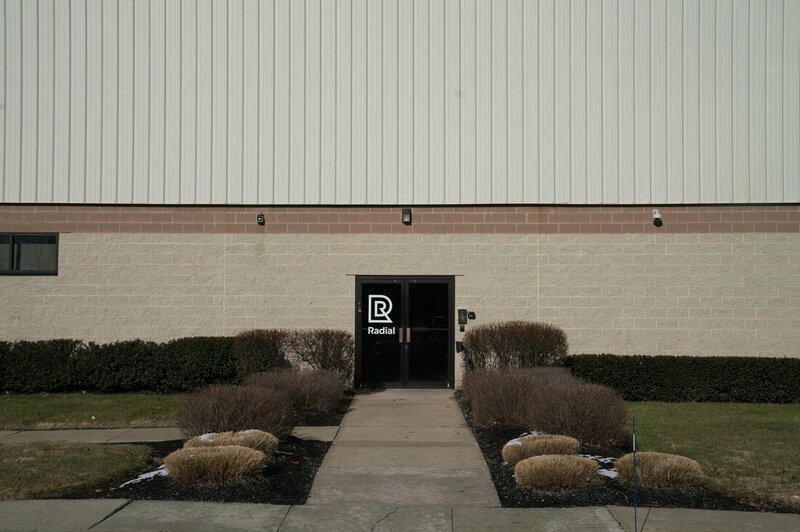 Interviews with numerous warehouse workers at Beatty's employer — Radial — and others employed by Amazon revealed their confidence about the future. But many forecasters aren't as sanguine. They point to giants like Amazon and Walmart speeding up warehouse work with machines. The warehouse companies tend to say that robots will supplement and ease human labor, not replace it. For example, Amazon, which has rolled out thousands of robots, maintains a massive workforce and is perpetually on a hiring spree. 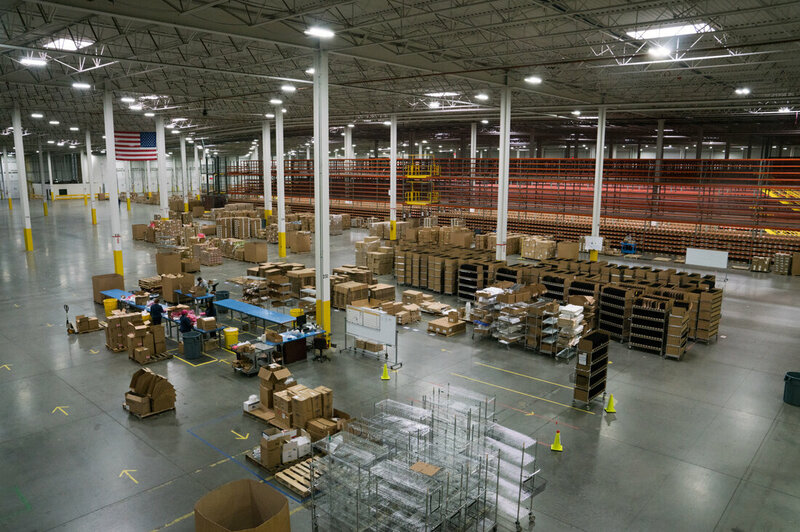 Amazon says it has more than 75 fulfillment centers, the majority of which employ at least a thousand full-time hourly associates. "Our 25+ robotics fulfillment centers employ 2,000 to 4,000 full-time hourly associates," an Amazon spokeswoman told NPR. "There's a lot of jobs in here that could be taken over by machines, but who's going to run the building?" says Marc Munn, who manages the department where Beatty works. "If something breaks ... I don't think we'll have other machines in here to fix that, so that's where my job comes into play." Packer Bibiana Ramos points out the precision and care of her work. "I know there's machines that make boxes, but not this kind of boxes," she says. Ramos folds tissue paper inside a special box, placing cosmetics on top and gently affixing the shipping label. "It has to be kind of ... meticulous," she says, "so it could have a good presentation." 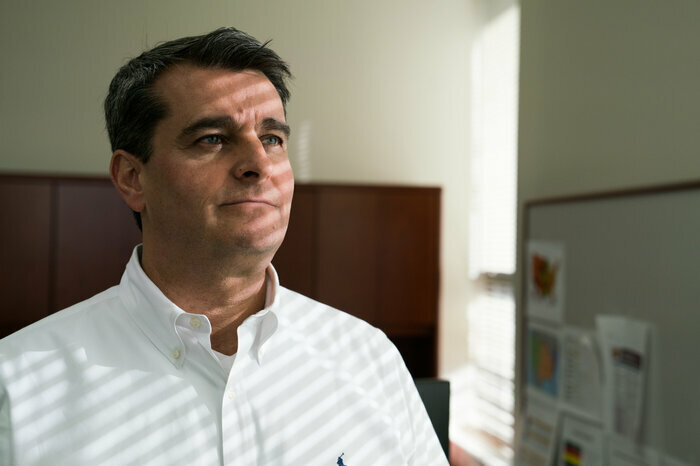 Alex Economos, who runs the Radial warehouse, says investing in a lot of robots makes more sense in a large million-square-foot Amazon facility than a small or midsize operation like his — robots aren't cheap. He shares the story of RFID chips — little tags that started popping up in warehouses years back, when he worked for Walmart. They held the promise of easy, instantaneous automated accounting of all the items in a pallet, for example. But they didn't take off, he says, because of the cost of tagging every single item, especially cheap common goods like toothpaste. Plus, the machines for now aren't really that skillful. "You could never say never," Economos says. "But at this time ... you would literally need a robot with the dexterity, with the fingers to pick up something light, as small as a ChapStick, and as large as a bottle of shampoo." 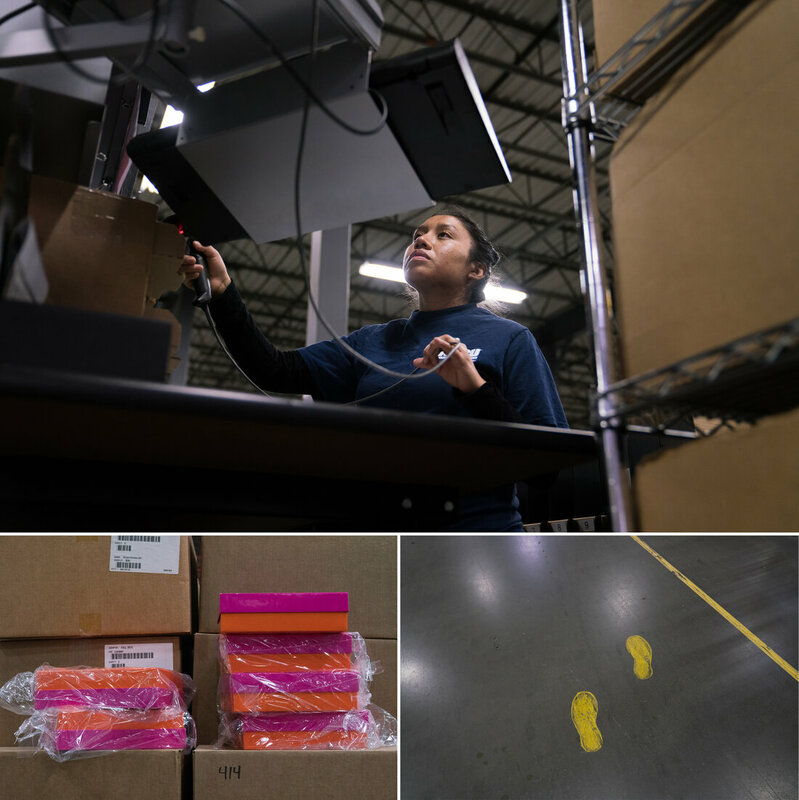 One Amazon warehouse worker says her job includes making boxes for items that the scanners can't handle — like a fishing rod that's too thin for the lasers to recognize. "A lot of the machines I see or deal with in the warehouse really aren't that great," she says, speaking anonymously to not violate the terms of her employment. 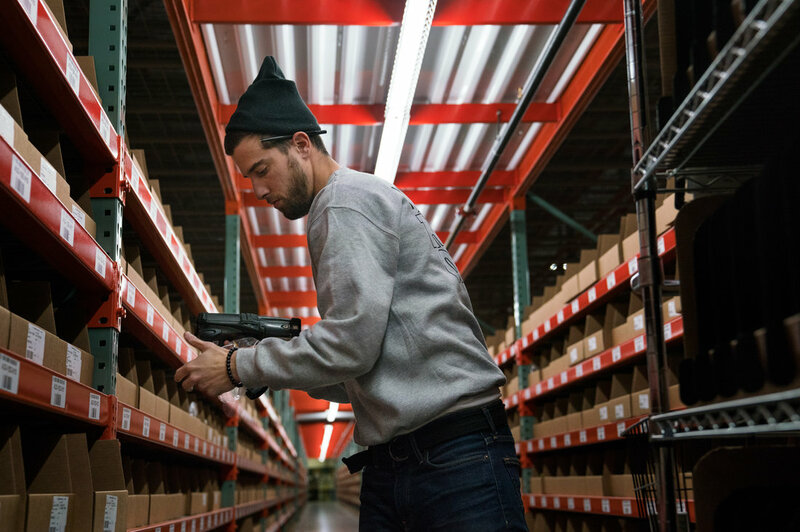 "There are just so many things that you need a competent human to deal with in our warehouse." But she's actually eager to see robots deal with heavy lifting and the messy parts of the job. "That would be pretty cool," he says, "to see a robot bring some of your work to you." According to a report by McKinsey Global Institute: "By 2030, in the U.S., 39 million to 73 million jobs could be destroyed, but about 20 million of those displaced workers can be shifted fairly easily into similar occupations, though they may take on slightly different tasks, the report says. That means 16 million to 54 million workers — or as much as a third of the U.S. workforce — will need to be retrained for entirely new occupations."